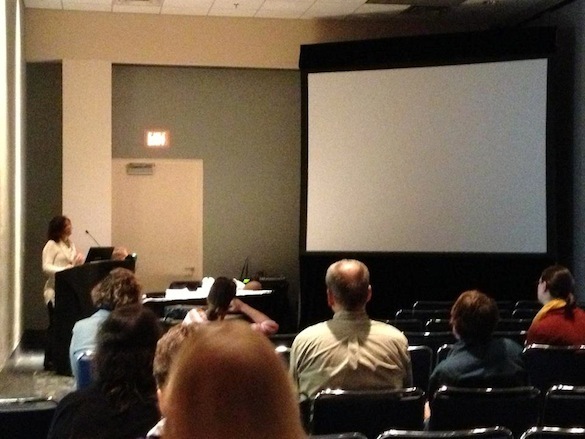 CHARLOTTE, NORTH CAROLINA–Our very last presentation at the 2012 annual meeting of the Geological Society of America was by Professor Meagen Pollock. She is shown above in an iPhone photograph near the middle of her talk about the educational and research value of social media in a geology undergraduate setting. (You can read her abstract here.) Appropriately, I posted this image on Facebook while she was still talking!